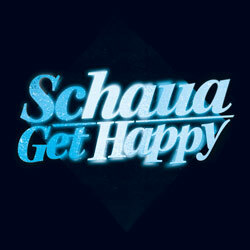 New release out now - Schaua: Get Happy! [la-ri-dä] is a netlabel, that means we distribute music via the internet. and we do this for free. why? because it's the best and easiest way to make YOU listen to it. we try to provide a wide range of styles, everything from idm/indietronics to rock/industrial, defining ourselves as a kind of counterpart to the other 95% of netlabels, which are providing hardly anything but minimal dub-house stuff.